Other products in the "Scene It?" series. This is probably my favorite themed Scene it? Edition. I play this once a year, when I get together with my friends from high school and it has gotten to be a bit of an event. Winning the game bestows bragging rights for a whole year! 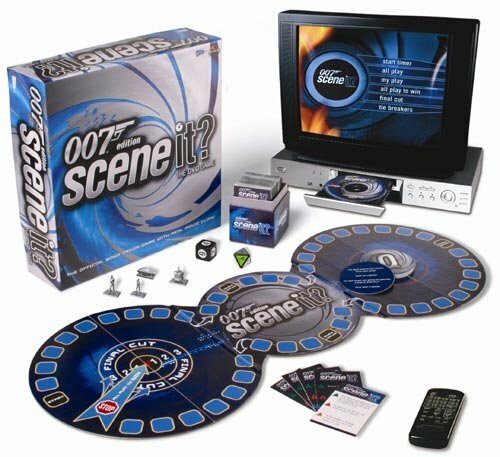 This is a great game for James Bond enthusiasts, as the questions require quite some knowledge of the movies.